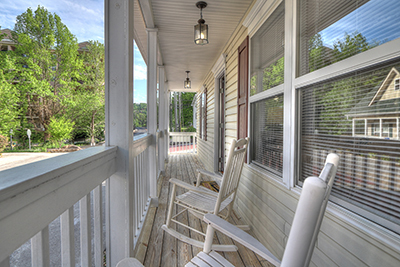 Smoky Mountains Lodging Guide: COMFORT, VALUE & OPTIONS AT GREYSTONE LODGE IN GATLINBURG! 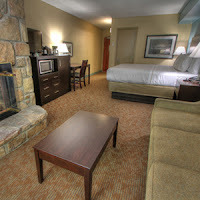 COMFORT, VALUE & OPTIONS AT GREYSTONE LODGE IN GATLINBURG! The rooms at the Greystone Lodge all have balconies, flat panel TVs and a mini fridge. Added features include an outdoor pool free Wi-Fi, and room options for a fireplace or Jacuzzi tub. Their location in Gatlinburg is across the street from Ripley's Aquarium of the Smokies, which adds convenience to the comfort, value and options the hotel offers. In addition to their location by the Aquarium, the hotel has restaurants, shopping and attractions nearby on the Parkway. And later in 2017 the Anakeesta Development will open across the Parkway and the Rowdy Bear Ride will open a couple of blocks down the Parkway. 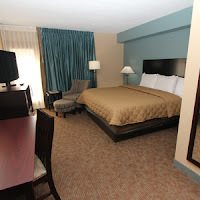 You can choose from Executive Rooms - with work and sitting areas, Suites with Jacuzzi Tubs, Fireplaces and lots of room for families to eat, sleep and socialize, King and Queen bed rooms, and hillside Cottages. The Greystone Lodge is a great place for bus groups and reunions as they offer meeting space, plenty of free bus or van parking, a deluxe continental breakfast, Trolley service and a great location close to the Parkway with easy walking distance to food, fun and shopping. And there is always welcoming Southern Hospitality from everyone at the Lodge. Plan to stay at the Greystone Lodge in Gatlinburg on your next trip to the Smokies. And check out the other fun things to do and places to eat,shop and see in the area at http://bestreadguidesmokymountains.com/. download the BRG App for more deals, area information and coupons.